My daughter and I are sharing a bedroom at the moment. We’re on holiday, and it’s just the way it’s worked out! I’m in the bed, my daughter’s on the floor. She doesn’t mind – she’s just happy to be sleeping next to me! A couple of nights ago, I leaned over the side of the bed and said, ‘Goodnight, my precious.’ These are my normal goodnight words to my daughter (often with an ‘I love you’ tagged on the end). I knew it was God saying goodnight to me! It had never crossed my mind before that God would want to say goodnight to me! I had never even given him the space to do so. But thinking about it now, it seems so natural. I’m his child, his precious daughter. I love saying goodnight to my own daughter (usually!) – the cuddles, the last-thing-at-night chat and silliness, the words of love and affirmation. Why wouldn’t my heavenly Father, my Dad, want to do the same with me? So now, each night as I settle down to sleep, I’m going to listen. I’m going to let my Daddy say goodnight to me. Maybe we can have some last-thing-at-night chat and silliness together too! I know for sure, he will speak his words of love and affirmation over me. I encourage you, as you settle down to sleep tonight to take some time to listen. Let your heavenly Father, your Dad, speak to you. Then last night God told me how excited he is to see me using the gifts he’s given me (writing for one), and how excited he is to see me moving into all he has for me. This letting God say goodnight to me is revolutionary! It’s exciting. It’s life-giving. It’s changing me. I would love to hear what God says when he says goodnight to you, and how it’s touching your life. So do listen out for God tonight, and come back and leave a comment below. God’s continued whispering to me at night! It was during hot sticky jet-lagged nights in Malaysia that God whispered his love to me in ways I could never have imagined. 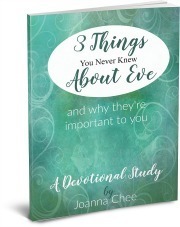 I tell the story in the introduction of my new book Forever Loved: Eve’s Story. This book has been a revelation of God’s love to me! It’s the story of Father and daughter, as told by Eve. Click here to find out more about the book, read reviews, and win signed copies! Explore the story of Eve. Discover just how loved you are! Wow, I needed to read this today. Brought a tear to my eye. As a pastor’s wife I’m guilty of trying to cram too much church stuff into my days, and not spending enough time just enjoying God’s presence and what He wants to say to me. Thanks for the reminder to take more time to listen! So glad it was a blessing to you, Hannah. Thanks for reading and commenting! God loves being with you. I pray you know him in a special way today. Thank you so much for sharing Bridie. I’m really encouraged that it blessed you! And I pray you have some special ‘Goodnights’ from your loving Father.